Victoria BC has long since outgrown its rather uncouth reputation as being occupied by “the newly wed and the nearly dead”. Today it is a vibrant city surrounded by appealing communities home to a population diverse in ethnicity and demographics. 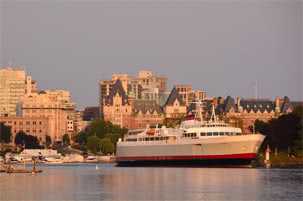 But retirement living in Victoria is still popular with people from across Canada and even further. Chief among the reasons that Victoria is a favoured location for people who are retired from the regular workforce is the temperate climate. Compared with the rest of Canada, it’s really pleasant here for most of the year, and when you have time to spare, you want the freedom to get out and enjoy outdoor activities often. 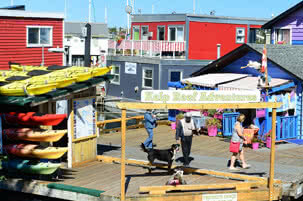 And because Victoria has long been attractive to retirees, the city has a lot to offer to older residents. There are social clubs geared towards this demographic, offering seniors activities and senior centers offering opportunities to meet other seniors, which can be critical to aging happily. Some seniors don’t relish the idea of moving from the home they are familiar with, and prefer to hire a home-care service to provide whatever level of help they need. Today’s seniors and retired people are healthier and more active than ever before, due to advances in geriatric care and general knowledge about how to stay healthy throughout our lives. But for those who face challenges to their health as they age, there are excellent treatment and rehabilitation services available in Victoria. There are more geriatric specialists and therapists per capita in Victoria than in most Canadian cities, because of the number of retirees living in Victoria. For seniors who are trying to decide where to spend their golden years, retirement living in Victoria is very attractive. 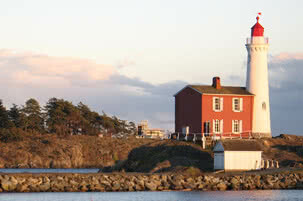 A large community of your peers, a temperate climate that is amenable to lots of activities, many options for housing at different levels of care and access to excellent medical care, treatment and rehabilitation mean that there will always be a large number of seniors who enjoy living in Victoria.